Just like everyone else on this planet, I'm in love with Italy. I've been going there nearly yearly since I was little, and each time it has been fan-tas-tic. 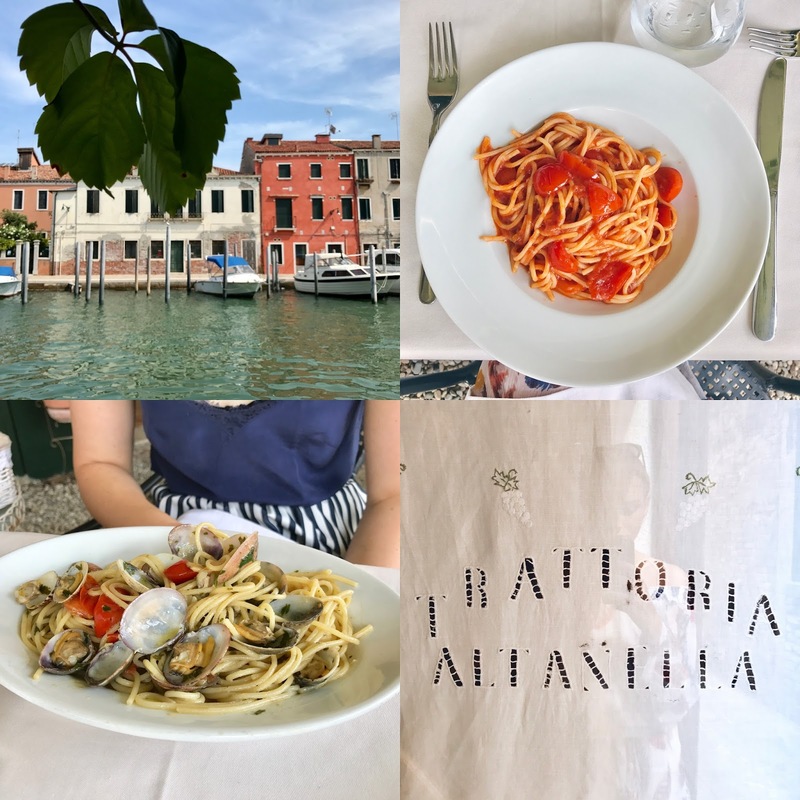 The food, the landscapes, the language, the people, beautiful coast, ancient architecture and of course, the pasta. Venice is one of Italy's most incredible cities. I've been at least 6 times, so every time I go I get a little more familiar with this beautiful but crazy place. By writing this post I'm not really doing the Venetians a favor because more and more tourists like me flood the place every year, and they're starting to crowd out the real Venetians. But still, it's a city you should see at least once in your lifetime, so that's why I'll tell you about my favorite things to do, eat and see in Venice. Though I've been to Venice many times, there's always a lot left to explore. It's such a crazy and special city, and I discover new things each time I go. I've found that by wandering around you stumble upon the best places, like quiet little courtyards, charming restaurants, and beautiful churches. This list I compiled for you below is what I've managed to collect over the last couple of years. Venice is - duh - a car-less city. Which is nice, because it's the only city I know which is super quiet at night. This also makes Venice a real walking city, it's pretty much the only way you can get anywhere. So always wear comfy shoes! To get to different islands, you'll need to take a boat. There are little taxi boats with extortionate prices, so the better option is taking the Vaporetto. It's like a bus, but then in boat form. Super convenient and relatively cheap compared to the alternatives. • Art Biennale: every two years (odd-numbered), there's the Venice Biennale which transforms the whole city of Venice into one big art event. There are several main pavilions, such as the Arsenale and Giardini where you can spend days looking at all kinds of art works. 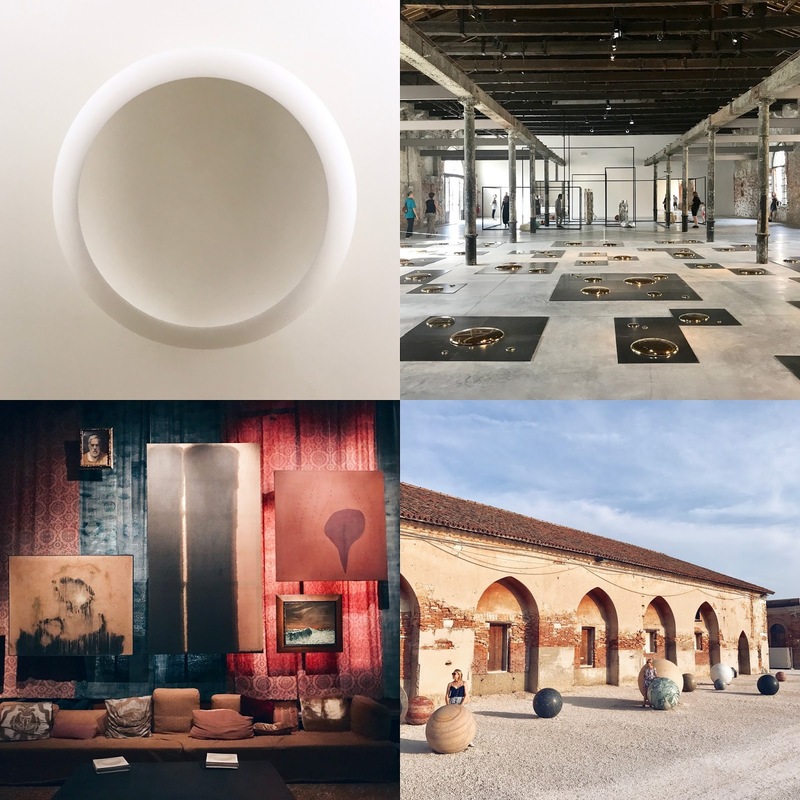 There are also individual sites to visit like Axel Vervoordt's Intuition exhibition at Palazzo Fortuny or Damien Hirst at Palazzo Grassi and the Dogana. 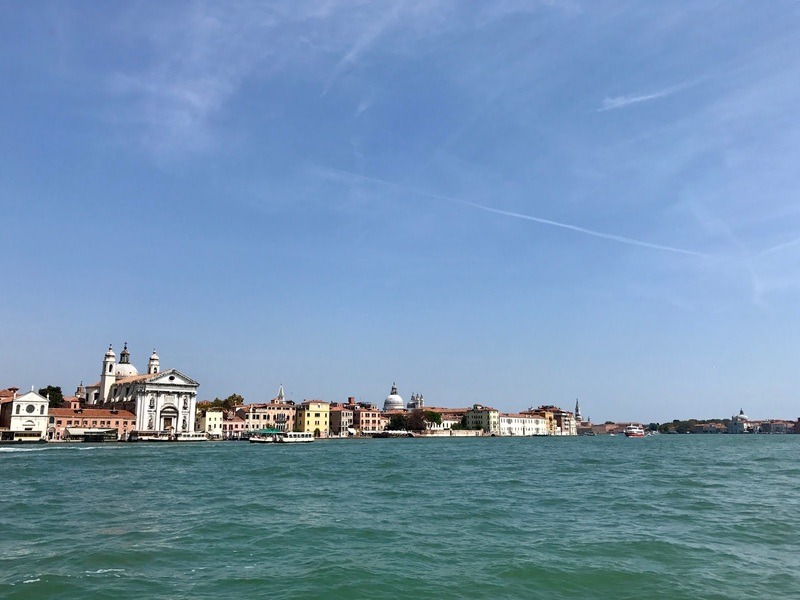 Most Biennale exhibitions run until November 26th, so there's no reason why you should face the hordes or other Biennale-goers during the height and heat of summer. • Museums: Gallerie Dell'Accademia, Peggy Guggenheim Collection, Fondazione Prada, Museo Correr, Ca'Pesaro... these are only a fraction of the great museums Venice houses. Make sure to visit at least a couple of them. 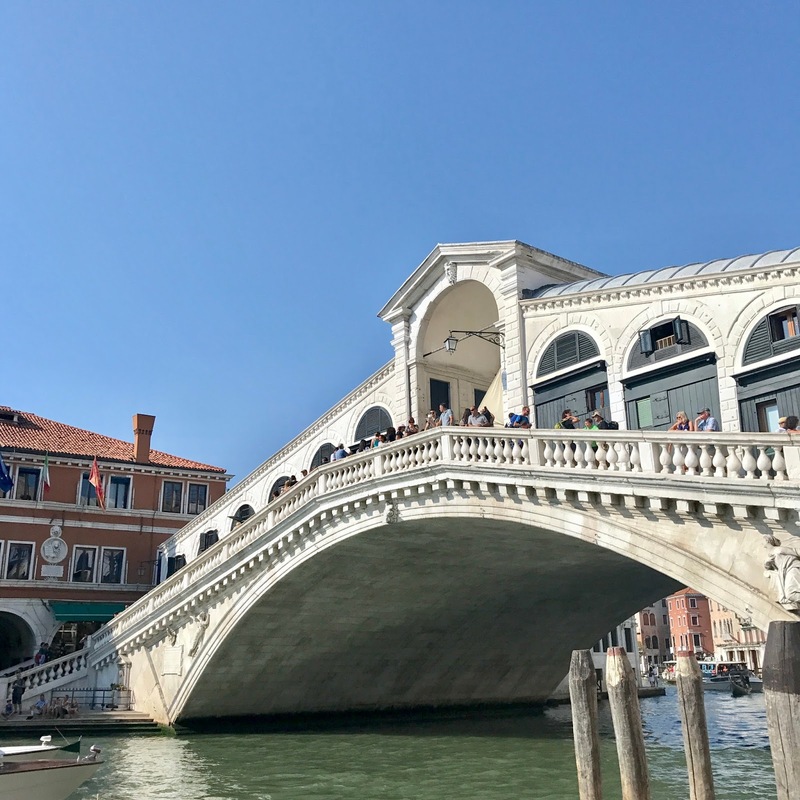 • Ponte Dell'Accademia: Though the Rialto Bridge is Venice's most famous bridge, I prefer Ponte Dell'Accademia because it's a little bit less crowded and from here you can take a real classic Venice 'canal picture'. 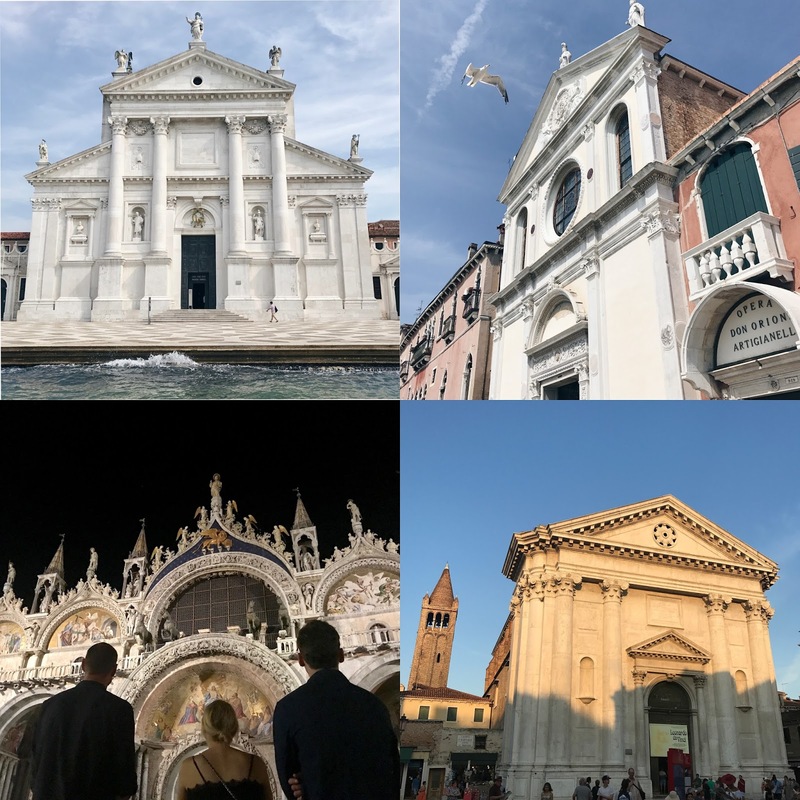 • Churches: There's also an endless amount of churches and chapels in Venice. Some of my favorites are Il Redentore, Basilica Di San Giorgio Maggiore, I Gesuiti, Chiesa di Santa Maria del Giglio and Basilica dei Santi Giovanni e Paolo. • Trattoria Altanella: Nice and quiet little trattoria in Guidecca with a terrace by the water. They do an excellent spaghetti alle vongole. • A Beccafico: A classic I've been going to for years. Good for a nice pasta lunch. • Osteria Alla Testiere: Tiny and charming little place which is popular among Venetians. Reservations are a must! • Osteria Boccadoro: Nice seafood restaurant in a more quiet part of town. • Osteria Oliva Nera: Small but cozy restaurant where you'll be taken care of very well by the hostess. Make sure to leave some room for dessert! • Corte Sconta: This little 'hidden courtyard' is famous for its excellent seafood and Venetian classics. • Da Ignazio: Quiet classic restaurant, perfect for a meal with your parents. They have a nice outdoor terrace. • Rialto Market: No, you won't be the only tourist here. But who doesn't love fresh Italian produce? One of my favorite places to wander around for a bit. • Caffe Rosso: Little café which makes the classic spritz, located on a nice lively but not too touristy square. 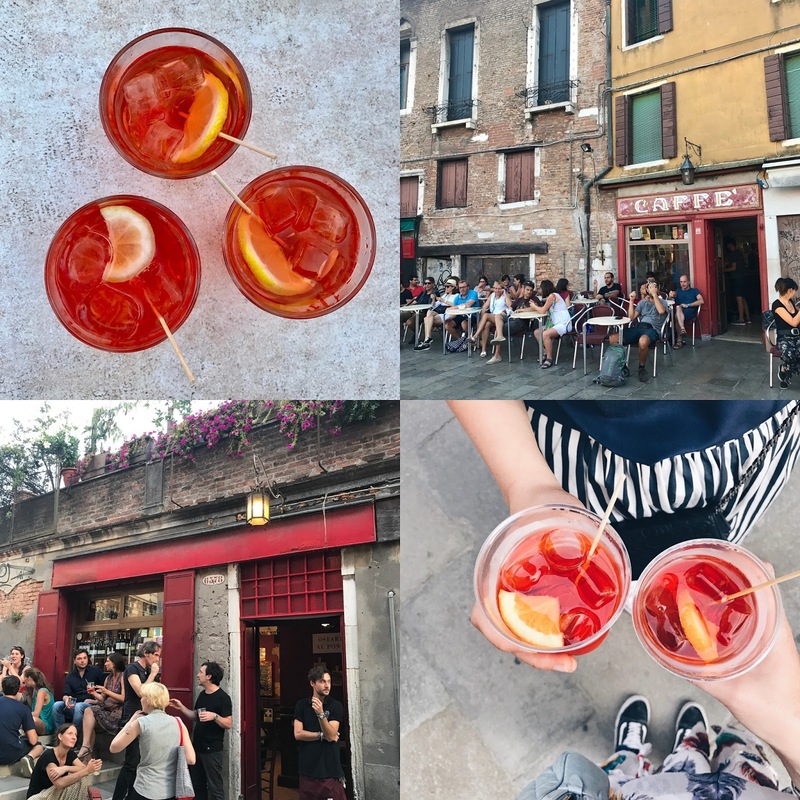 • Osteria Al Ponte: Small café where you drink your spritz outside on the bridge. Three takeaway spritz' for under €10 is an excellent deal. Over the years I've stayed at different hotels in Venice, which were all comfortable and convenient. 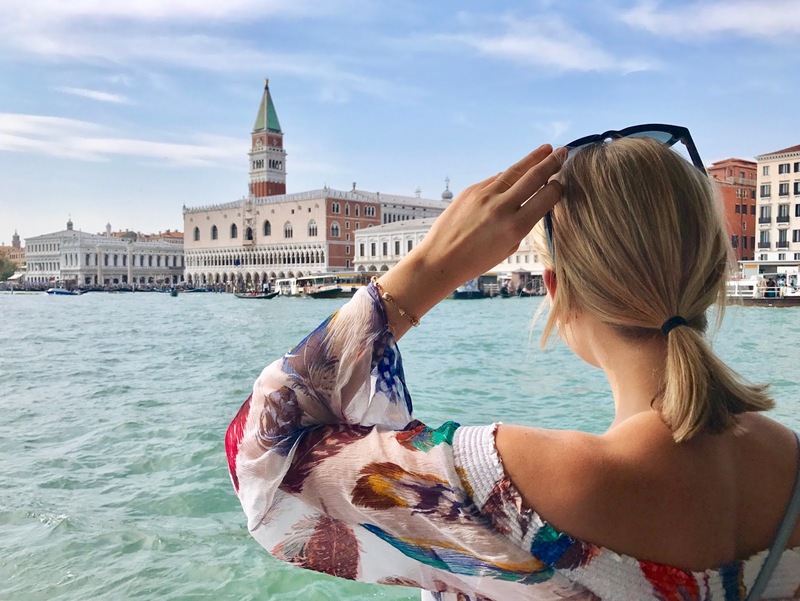 There are a ton of hotel to choose from in Venice, but these are the ones I can personally recommend. • Ca' Fortuny: Charming little hotel next to Palazzo Fortuny. Interior is a little outdated but it adds to the Venetian charm. Convenient location. • Centro Culturale Don Orione Artigianelli: An old monastery which has been transformed into a simple but comfortable hotel. It's very basic but has everything you need, including breakfast. The location is quiet and really convenient, near the Accademia bridge and Zattere stop for the Vaporetto. • Hotel Flora: Charming little hotel with garden, tucked away in a quiet street just a couple minutes from San Marco. • Generator hostels: I actually haven't stayed here but walked past it one day and it looked really good and the location was nice and quiet. I've heard great things about this hostel chain. • Go to overpriced tourist trap restaurants. 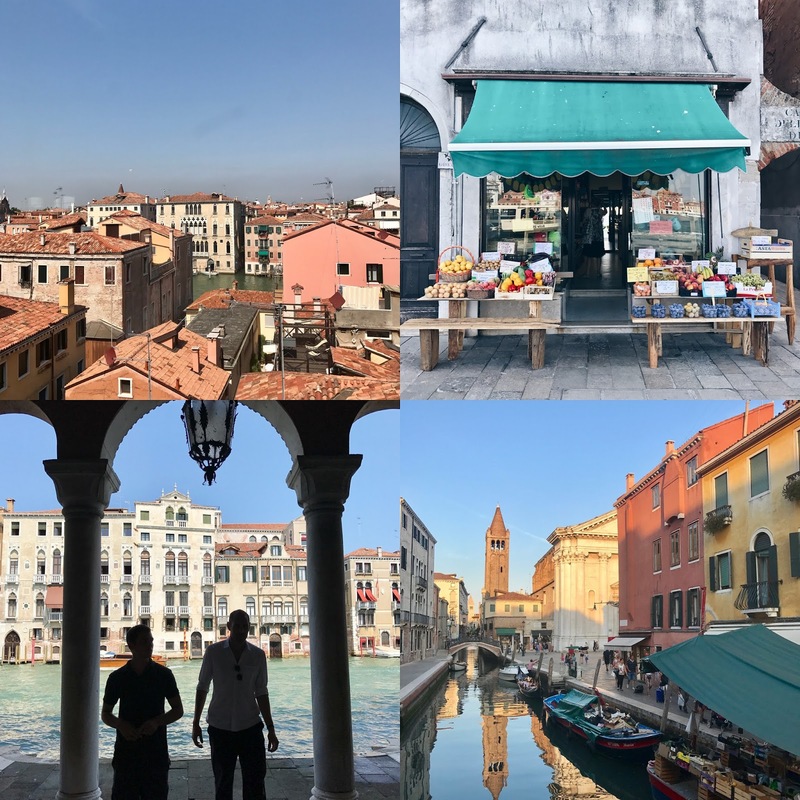 Go and find little hidden places where actual Venetians go, and avoid every place near crowded spots like Piazza San Marco and the Rialto Bridge. Russell Norman usually has pretty good tips for "off the eaten track" places, so check out his Instagram. • Move in large groups. Venice is really not made for large groups, so if you are, split up and meet again later. The streets are too tiny, and this city is best explored on your own or in a little group. Just wander around and get lost, it's the best way to find good surprises! I hope this guide will come to good use on your (first) visit to Venice. It's probably one of my favorite places in the world, despite its flaws. Everywhere you look there's another breathtakingly beautiful sight, and that's something no other city has.